Why, hello. And a happy New Year to you. 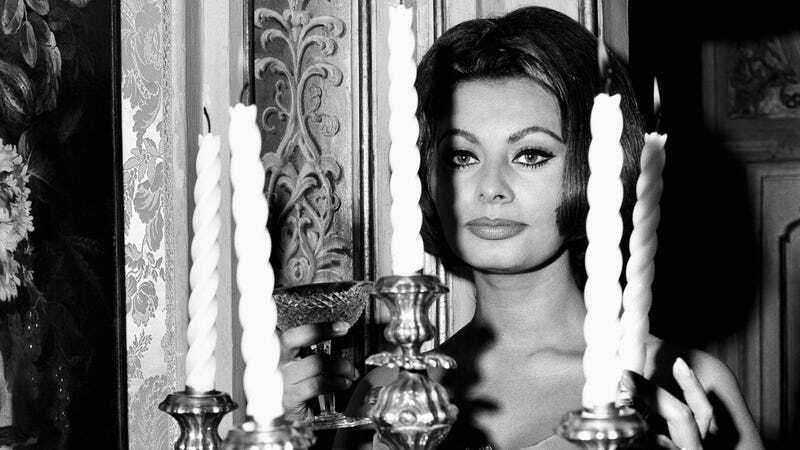 “Italian actress Sophia Loren raises a glass of champagne in her Rome apartment in a toast to all her friends and fans and wishing everyone a happy new year, Dec. 31, 1962,” according to the caption. She just didn’t care enough to bestir herself from behind the candelabra. She’s Sophia Loren, and you’ll take what you can get. Gaze upon the full-length image and contemplate strategies for achieving your glamour goals in 2016.